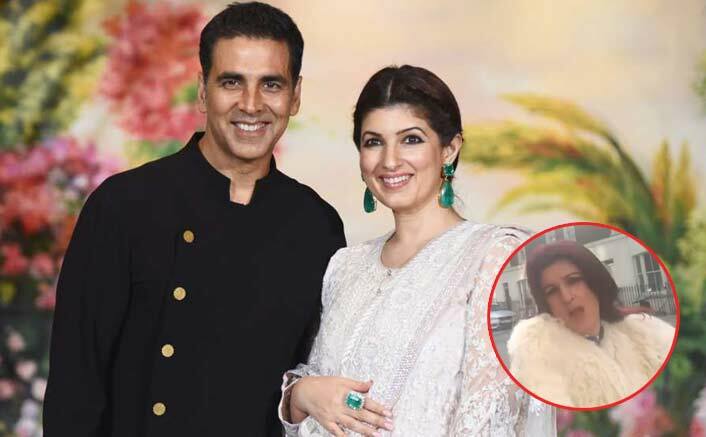 Bollywood’s IT couple Akshay Kumar and Twinkle Khanna have always managed to give us some serious relationship goals. There quirky yet so romantic posts have always made us laugh. Twinkle, who is known as Mrs Funnybones, always tickle our funny bones with her tongue-in-cheek humour. Today, on the occasion of Valentine’s Day, the Khiladi Kumar took to his Instagram account and shared a funny video of his ‘Gully Girl’! Well, it was quite surprising to see Twinkle in that avatar. Gully Boy Fever: Akshay Kumar’s Valentine’s Day Video With Twinkle Khanna Is Crazily Cute! On the work front, Akshay has a busy 2019 as he has a lot of films lined up. His next Kesari will hit the theatres on March 21, 2019. It will be then followed by Good News which also stars Kiara Advani, Diljit Dosanjh and Kareena Kapoor Khan. Later he has Housefull 4 and Sooryavanshi. It’s Mission Time For Bagha & Bavri!